Here is FAQ for all type of accounts. Broker require use only real personal info. If your account has already been verified, you can’t change your name, or other existing information. If you haven’t verified your account yet or you haven’t finished the verification process, please understand that iqoption need your info in order to provide fast withdrawals and ensure the security of your money. Contact Support if the info that you have already given us is incorrect. If you want to hide your real name from other traders, you can generate a random name in your personal settings. How can I hide real name from Iqoption? If you don’t want your name to be visible in chats and tournaments, you can generate a random name in your profile. To do this, click the profile icon in the upper-right corner and go to the Personal Data section. On the page that opens, open the Settings tab and scroll down to the “Public Profile Settings” section. Here you can generate a name, and nobody will see your real name. Your email address is required for login in to the platform, but you can change it in your profile any time. To do this, click the profile icon in the upper-right corner and go to the Personal Data section. On the page that opens, go to the Settings tab. At the very top, you will see a box where you can set a new email address. How do I change my phone number or home address? We require you to use only real info. If your account has already been verified, you can’t change your phone number or other information. If you haven’t verified your account yet or you haven’t finished the verification process, please understand that we need your info in order to provide fast withdrawals and ensure the security of your money. Contact Support if the info that you have already given us is incorrect. How unsubscribe from Iqoptions emails? Every email message has an Unsubscribe link at the bottom. It only takes one click to stop getting our emails. You can also set this in your profile. To do this, click the profile icon in the upper-right corner and go to the Personal Data section. On the page that opens, go to the E-mail settings tab, where you can choose which types of notifications you want to receive from us. How can I block my account? Some traders get too involved in trading and aren’t able to stop, which leads them to make reckless investments over and over again. 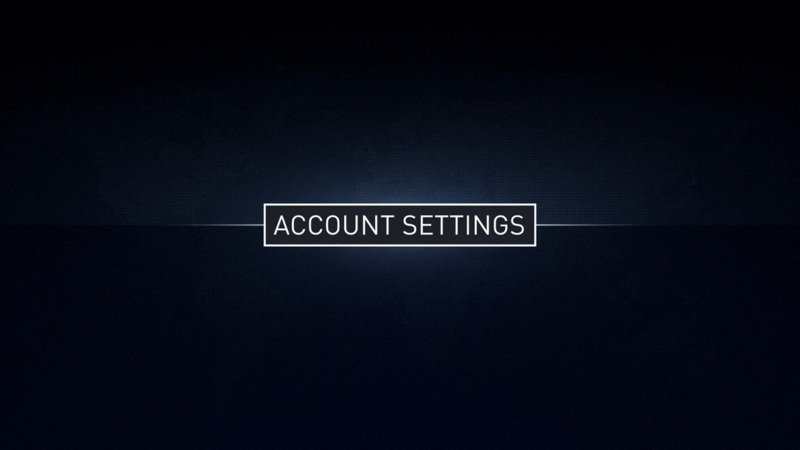 If you need to take a break and stop trading for a while, you can block your account in the settings in your profile. The “Block account” button is at the very bottom of the page. Please note: After you block the account, you can’t open your profile or trade on the platform. I forgot my Iqoption password? When you sign in to the site or app, you can click the “Forgot your password?” link and enter the email address you used for registration. You will get an email message with a link for setting a new password. Can the name in my personal information be changed on IqOption? Only real personal data may be used when registering with us. If an account has been verified, the last name, first name, or other information can’t be changed. If the account hasn’t been verified or the verification process is still in progress, understand that your personal data is required to ensure the security of your funds and provide fast withdrawals. Please contact support if the data on your profile is incorrect. To prevent your real name from displaying, generate a random name in your profile under personal settings. To have the first and/or last name changed, send a request to docs@iqoption.com with the verification documents attached. 1) A photo of your ID (driver’s license or national passport). 2) If a deposit was made from a bank card or cards, send images of both sides of the cards. Expose only the first 6 and last 4 digits of the card number and hide the CVV number. Ensure that the card(s) are signed. The request should be sent from the email address that is associated with your account. Once the change request has been sent, notify us via Live Chat. Only real personal data may be used when registering with us. If an account has been verified, the phone number or other information can’t be changed. If the account hasn’t been verified or the verification process is still in progress, understand that your personal data is required to ensure the security of your funds and provide fast withdrawals. Please contact support if the data on your profile is incorrect. To prevent your real name from displaying, generate a random name in your profile under personal settings. To have the phone number changed, send a request to docs@iqoption.com with the old and new numbers. Also attach a different photo or scan of your ID. Although this may seem complicated and unnecessary, this process ensures that your funds remain secure. Once the change request has been sent, notify us via Live Chat. Only real personal data may be used when registering with us. If an account has been verified, the home address or other information can’t be changed. If the account hasn’t been verified or the verification process is still in progress, understand that your personal data is required to ensure the security of your funds and provide fast withdrawals. Please contact support if the data on your profile is incorrect. To prevent your real name from displaying, generate a random name in your profile under personal settings. Either document may not be older than 6 months and must be a full (uncropped) color image of the document. How long will it take before my Iq Option account is verified? The verification process starts when a withdrawal is requested. If everything has been done correctly, the process takes between 1 and 3 business days. Can the currency of my account be changed? The currency on an account is set when the first deposit is made. If US dollars was for example used to make the first deposit, the account’s currency will be set to USD. This is vital, as the currency of the account can’t be changed once the first deposit has been made. If you were not aware of this rule and want to change the currency, the only way in which this can be done is by opening a new account and depositing using the correct currency. Remember to withdraw your funds and block the old account once a new account has been created. How secure is my IqOption account and can I improve it? Your account is secure, but you can improve security by activating 2-step authentication in Settings. With 2-step authentication, the system will ask you to enter a special code that was sent to your phone number when you log into the platform. Can I check my IqOptions account’s session history? Account usage information is shown in your Profile and includes the last activity details of your account. What are IqOption inactivity fees? As specified in item 7. Charges and Fees in our Terms and Conditions, the Company may apply a service fee for inactive accounts. An account is deemed inactive if no operations have been performed for ninety calendar days in a row. The service fee of 50 euro may be applied in this case, but the annual fee will not exceed the total balance in the Client’s account. If you for example only have 20 euro in your account, this is the maximum amount that may be deducted. What type of IqOptions accounts are available? IQ Option offers 3 accounts – practice, real and VIP. A practice account is used by customers for training using virtual funds. A real account is the standard account used for trading. When a real account is used, customers still have access to a practice account and can switch between the two. A VIP account is a real account where additional features have been added. These include training materials, higher profitability rates, a personal account manager and other unique features not available to other traders. A VIP status is achieved when a deposit of 3000 dollars is made. Do you have Islamic accounts? -Full transparency with fair market data without any spread widening. -Trading without interest and no additional charges for opening, closing or holding a position. -HIBAH, where a portion of profits can be donated to a charitable organization without attracting fees. Simply go to the home page and scroll down. Find the Log Out button at the bottom and click on it to log out. Can the time zone on IqOption account be changed? To set a different time zone on your account, click on the gear icon at the bottom left of the traderoom page and choose time zone you want. How do I access the public chats? A trading volume of at least $300 is required to access public chats. I can’t log into my IqOption account. What should I do? – If you have forgotten your password, use the “Forgot password?” link in the login box. The system will send an email with instructions to restore the password to the email address associated with the account. – If registration was done via a social network, a password needs to be created with the web version to gain access the mobile app. This can be done by using the “forgot password” link on the login page. The email associated with the social network account needs to be entered and recovery email will be sent to that email. Once this has been done, log into the mobile app using that email and the new password. – If an incorrect password has been entered several times in a row, the message “login limit exceeded” will be displayed. Wait a few minutes before trying again. If you are not unsure about the password, use the “forgot password?” link on the login page to reset your password. Great FAQ about iqoption accounts. So found here important information how to chacnge something on my account. Many thanks for review. Am trying to deposit cash but it keeps telling me unsuccessful and yet I have money in my bank account. What might be the problem?